"We’re always looking to bring classic menswear into step with the times. In a sleek contemporary fit with natty patch pockets, this mac is made from a special fabric woven at an Italian mill named Limonta. We’ve half lined it for breathability and bound the seams to keep you looking smart. We call it the Modern Mac; you can call it the protection your 21st Century outfit deserves." 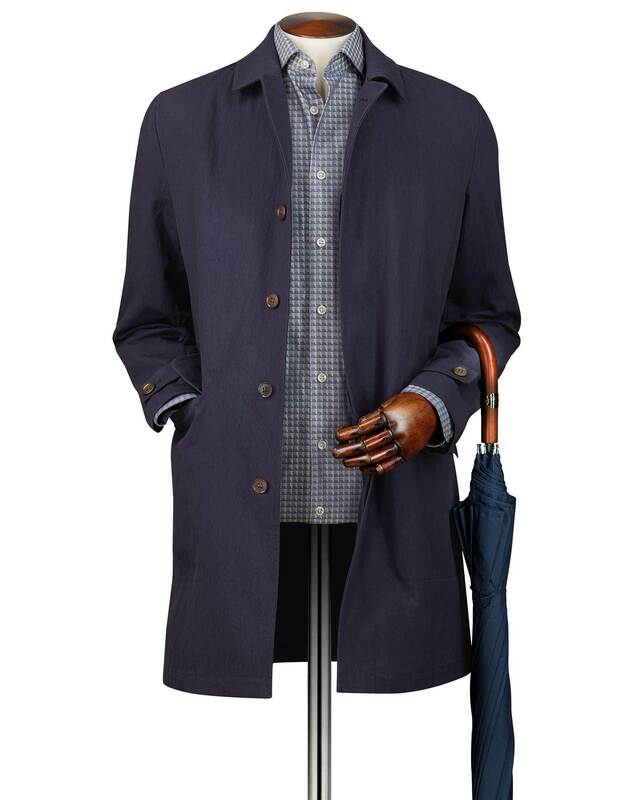 "The modern solution to rainy weather: sleek, slim cut and totally showerproof."